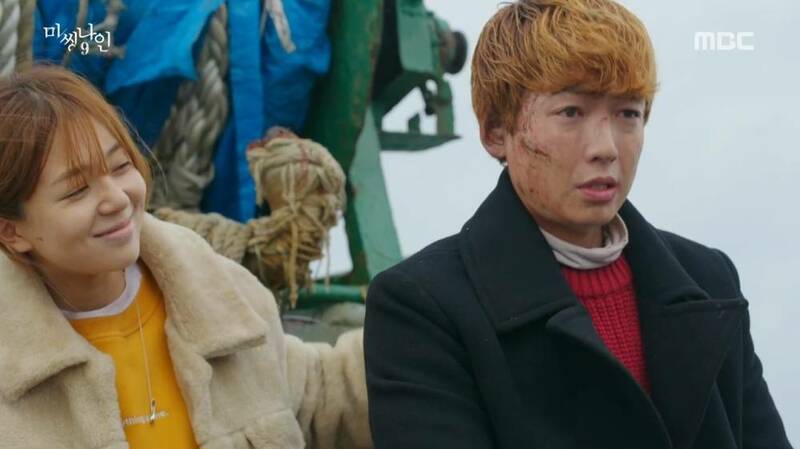 It is time to clench body parts and remember to take deep breaths, because episode nine of "Missing 9" piles on the tension and urgency. A boat has noticed the survivors and with a storm approaching, the clock is ticking. In the present, Bong-hee and Tae-yeong hit a dead end. Just as Bong-hee starts to feel hopeless, news about the fate of two more survivors surfaces. In what is one of the most thrilling episodes of "Missing 9" yet, we finally have every survivor but one accounted for. This will hardly be the end of everyone's troubles, of course, since we have two very much active killers in the present who will be clawing at every survivor in order to protect their narrative. Joon-oh (Jeong Kyeong-ho) is the final person of interest and so his fate is probably our last big topic until the end. Aside from Reporter Kim's (Heo Jae-ho) clearing of his past, Joon-oh's function as a romantic lead is being fleshed out. It feels like an odd time to develop this, however and I worry about what it will mean for Bong-hee's (Baek Jin-hee) character. I find her disappointed reaction to the survival of her group mates too cold. It is designed to sell her bond with Joon-oh, but it does so by sacrificing her relationships with others. I hope this does not mark the start of an "oppa-driven" heroine with a solely romantic focus. 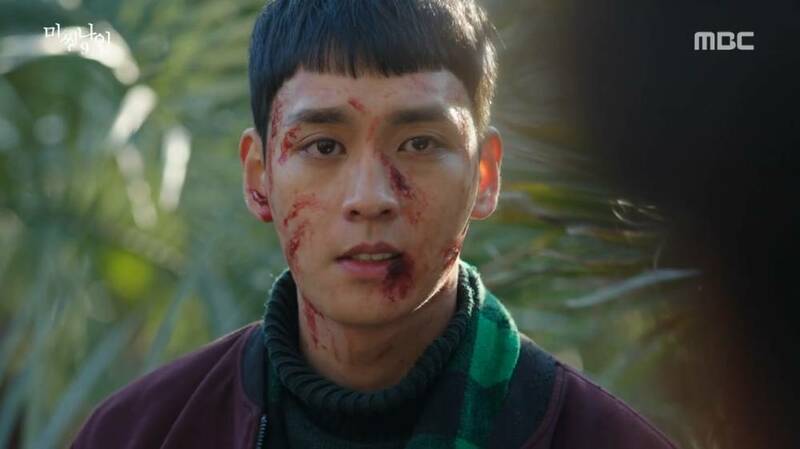 Speaking of emotional messes, Tae-ho (Choi Tae-joon) has now become a full-fledged creep. His own character development is the one I feel disappointed about the most in "Missing 9", since psychological drama was supposed to be a series goal. I am not surprised by the fact that they opt for a simplistic devilish villain, but I wish his descent into madness and escalating crimes were explored a bit. The actor tries his best and Tae-ho's trajectory is believable, but the process of it has not been well-developed. The fact that he is also used as the source of all evil including Joon-oh's DUI is a bit of an issue for me. So is the fact that the boat interior we see in this episode does not match what we saw earlier. This is a minor flaw which can be attributed to Tae-ho's recollection of his surroundings, but these slip ups do pile on and make the drama feel haphazardly put together at times. Regardless of my complaints, I do find the episode riveting. We also have plenty of obstacles for the heroes to overcome over the next seven episodes. 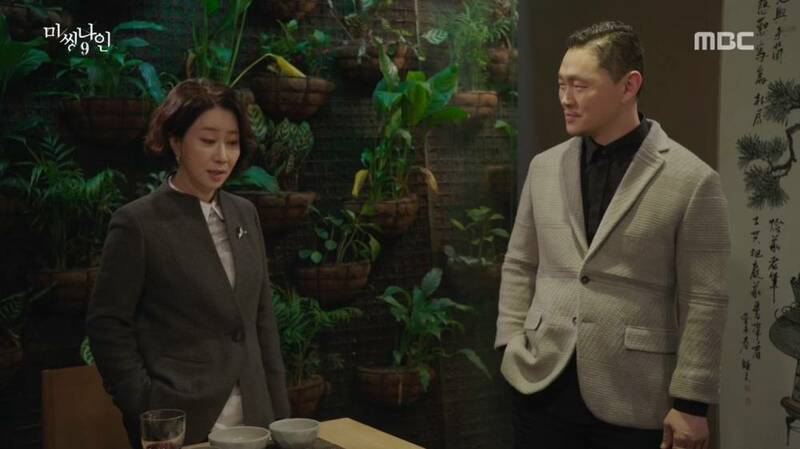 I get the feeling that Investigator Jo (Song Ok-sook) wants to find some way to help while pleasing her superiors, so her role seems important for the future. Just keep our Bong-hee cool and central, drama. "Missing 9" is directed by Choi Byeong-gil, written by Son Hwang-won and features Jeong Kyeong-ho, Baek Jin-hee, Oh Jeong-se and Choi Tae-joon.